"Japanese sake restaurant package" is very popular. It was once on TV shopping show and was sold more than 2000 packages. 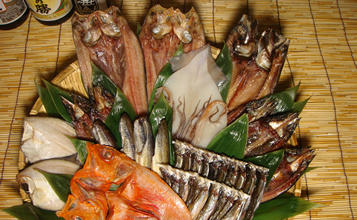 It contains seasons various dried fish. The Kind of fish is changed by season such as Okhostk Atka macherel. 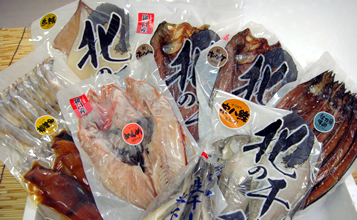 Sohachi righteye flounder, kichiji rockfish, Pacific saury. Saffron cod. shishamo smelt. We use our own way to bring out the delicious flavor of the raw fish to adjust soaking in salty water and drying time by the temperature outside. 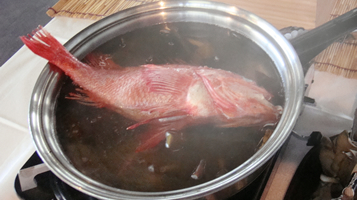 “Boiled Memme/kichiji rockfish" is known to luxury fish from Rausu. 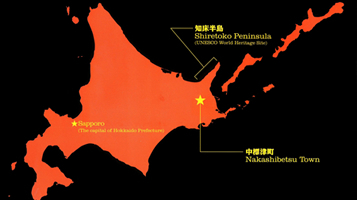 other parts of Hokkaido or Russia. We use the special salt called “Raushio" to process Memme and kombu seaweed. 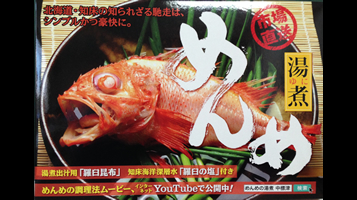 It is used our own manufacturing method to produce this salt with bittern from the Nemuro Channel ocean deep water around Rausu. You can use this Memme for the festive occasion since we did the special processing to keep beautiful outlook from head to tail without cutting fish belly to remove the internal organs.